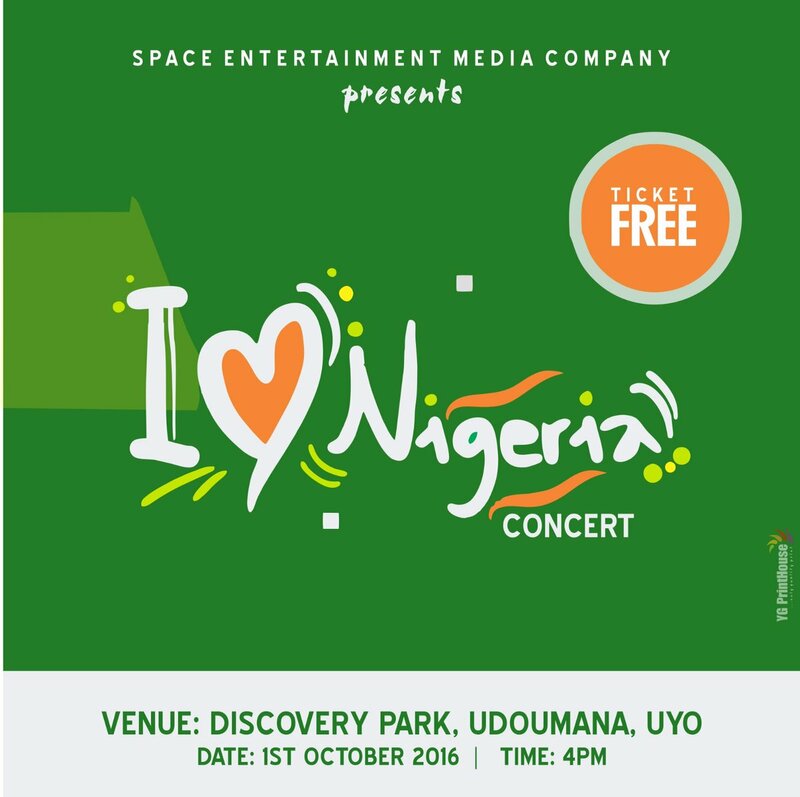 As we prepare for the hours of the new month of October, Nigerians will gather at discovery park,Uyo for the mother of all concerts tagged 'I Love Nigeria Concert". It will feature performances by lots of artistes, Comedians and dancers in the Niger Delta. According to the organizer, Asteroid Bassey of AKBC TV, the free event is meant to show that as a people, we can weather the storm together for there ain't no other country like ours". There will be representatives of various ethnic groups in Nigeria at the event. Asteroid can be reached on 08134553414, or via iamasteroidbassey@gmail.com or @asterizzle on twitter. he further added "We will give out gift items to Nigerians to as token of hope in our father land. We will preach the gospel of love and unity. Dress code is a touch of green."